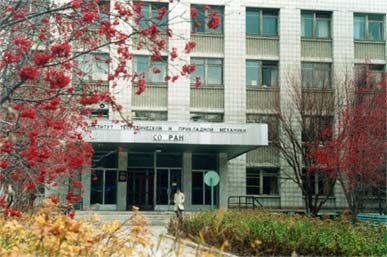 Khristianovich Institute of Theoretical and Applied Mechanics, Siberian Branch of Russian Academy of Sciences, Siberian Regional Branch of Laser Association hold the VI All-Russian conference with foreign participants “Interaction of high-concentrated energy fluxes with materials in promising technologies and medicine” from March 24 to 27, 2015. Scientific agenda includes the topics of interdisciplinary problems devoted to the development of the methods of study of interaction between high-concentrated energy fluxes and materials and application of up-to-date electro-physical equipment in promising technologies and also in biology and medicine. Among technologies processes under consideration, there are laser, plasma, plasma-chemical and other high-temperature technologies, nano-technologies and equipment for them. A special section will be organized for the presentations about the models of human blood-circulatory and pulmonary systems, optical techniques in medicine, and high-tech achievements in laser surgery. 1. High-power gas, solid, and fiber lasers. 2. Generators of low-temperature plasma. 3. Technological applications of high-energy energy sources (lasers, plasma, electron beams, etc.). 3-1. Cutting and welding of metals and alloys. 3-2. Plasma-chemical technologies of treatment of man-induced and natural substances. 3-3. Production of powder materials. 4. Volume and surface modification by powder materials. 4-1. Utilization of refractory nano-size powders in micro- and macro-metallurgical processes. 5. Simulation of processes of high-energy interaction with materials. 6. Hydrodynamic problems, methods of investigation and application of lasers in medicine, biology, chemistry, ecology. Plenary (up to 40 minutes) and section (up to 20 minutes) presentations are anticipated. The book of presentations (up to 5 pages each) will be published in Russian before the conference. Information about the conference and rules for presenters is on the website http://conf.nsc.ru/clapt2013. Intending participants should register on the website and give the information about the presenter, presentation title, authors, presentation abstract (in Russian) and other data involved. Please include the presentation title, authors’ names, and institution title in English, which is needed to be included in the preliminary program of the conference. Dr. Tech. MALOV Aleksey N.